AFRICANGLOBE – Jamaica’s Prime Minister Andrew Holness and four other Caribbean heads of government have been branded as “weak-minded” by the Prime Minister of Antigua and Barbuda, Gaston Browne, over their decision to accept an invitation to meet with United States President Donald Trump last Friday. 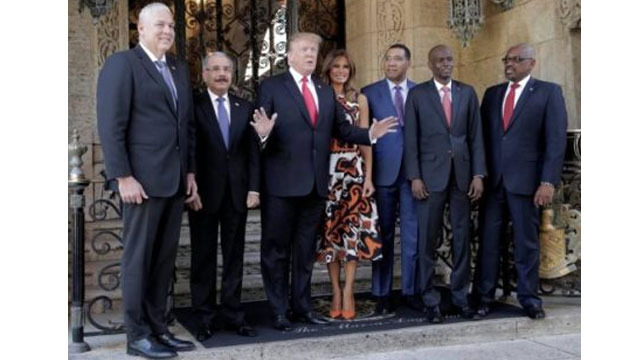 The Caribbean leaders invited had in January supported a resolution at the Organisation of American States (OAS) in not recognising President Nicolas Maduro’s second five-year term. The US and 50 other countries have instead thrown their support behind self-proclaimed president Juan Guaido as they try to force Maduro from office, claiming his election illegitimate. “The irony about all this, OPIC is already operating in these countries and China offers better credit terms: developmental loans over 20 years at two percent interest with a five-year moratorium,” Browne stated.